Christians gather at hte annual Voices for Justice event on Tuesday. Hundreds of Christians from churches across the country have gathered in prayer vigils this week to pray for our nation’s leaders and Australia’s contribution to a world without extreme poverty. 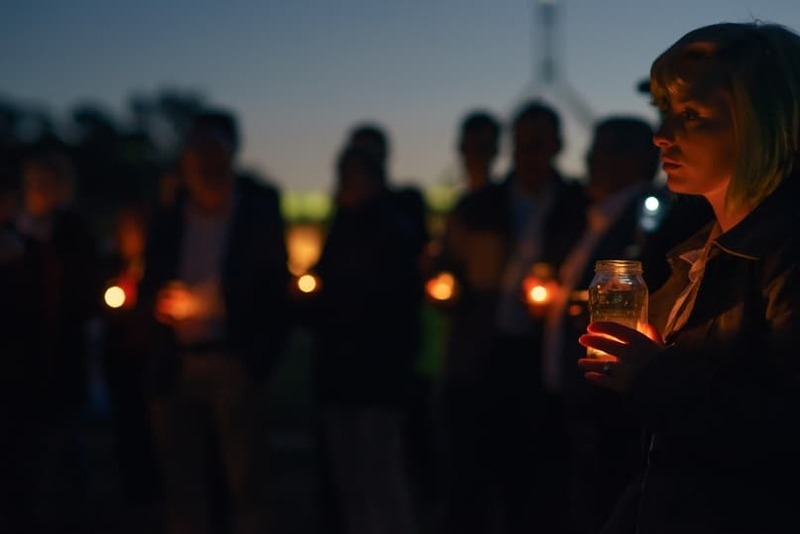 Almost 200 participants of Micah Australia’s annual Voices for Justice event joined with Federal politicians and local Canberra Christians in a public candlelit prayer vigil on the lawns of Parliament House on Tuesday. Leading the vigil prayers were Gregor Henderson, former general-secretary and president of the National Assembly of the Uniting Church in Australia; Bishop Stephen Pickard, executive director of the Australian Centre for Christianity and Culture, Lt Col Kelvin Alley, national secretary of the Salvation Army; and Dr Graham Hill, vice principal of Morling College. They were joined by over 40 local churches and Christian groups across Australia from all major denominations who simultaneously cried out for God’s work of peace, mercy, and justice in Australia and the wider community of nations. “If we define advocacy as speaking to the powerful on behalf of the powerless, then prayer itself is a form of advocacy as we cry out from the depths of our hearts to the God of grace and justice,” said Ben Thurley, national co-ordinator of Micah Australia. This year’s Voices for Justice event also marked the public launch of Micah Australia, the successor to the Micah Challenge campaign, which has equipped Christians over the past decade to help ensure Australia does its fair share to achieve the Millennium Development Goals (MDGs) by 2015. Micah Australia is a coalition of church and Christian organisations from all denominations with a mission to gather, inspire and empower Australian Christians to raise a powerful voice for global justice and world free from poverty. According to Mr Thurley, the global picture relating to poverty and sustainable human development has changed dramatically over the past decade and it has never been a more important time for Christians to be intentional and strategic in prayer and action for justice. “Over the past year we have seen the largest ever cuts to the Federal aid budget, and yet a few weeks ago Australia joined the international community in unanimously adopting the new Sustainable Development Goals to fight poverty, address inequality and build a more secure, prosperous and sustainable world by 2030,” he said. Christians involved in the Voices for Justice lobbying event combined prayer with action this week by meeting with more than 100 federal politicians in Parliament House to discuss ways Australia will support the new global goals by restoring Australia’s aid program and increasing emission reduction targets to tackle climate change.